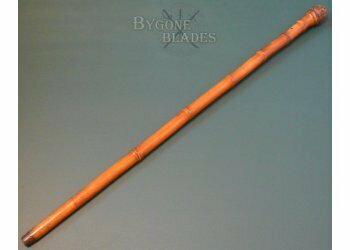 19th Century bamboo root-ball sword cane measuring 910mm in length. 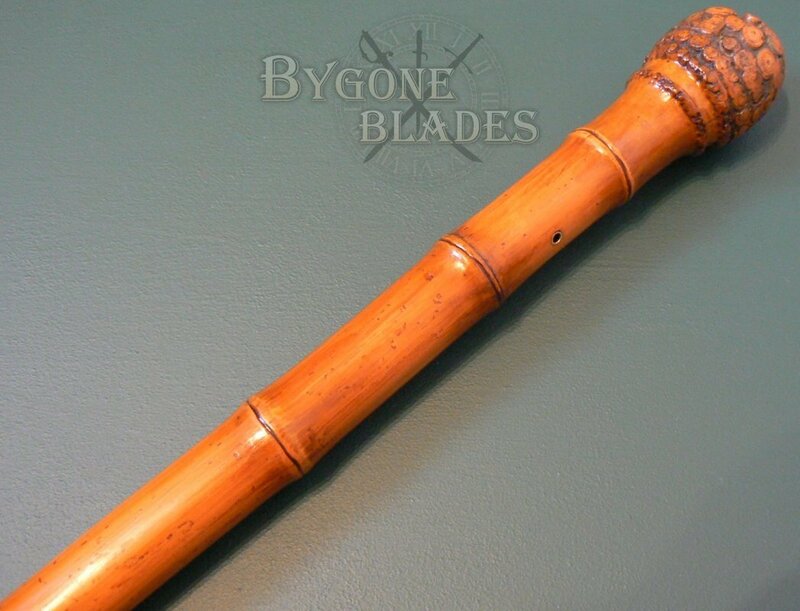 The cane has a diameter of approximately 30mm and the root-ball is approximately 50mm in diameter. 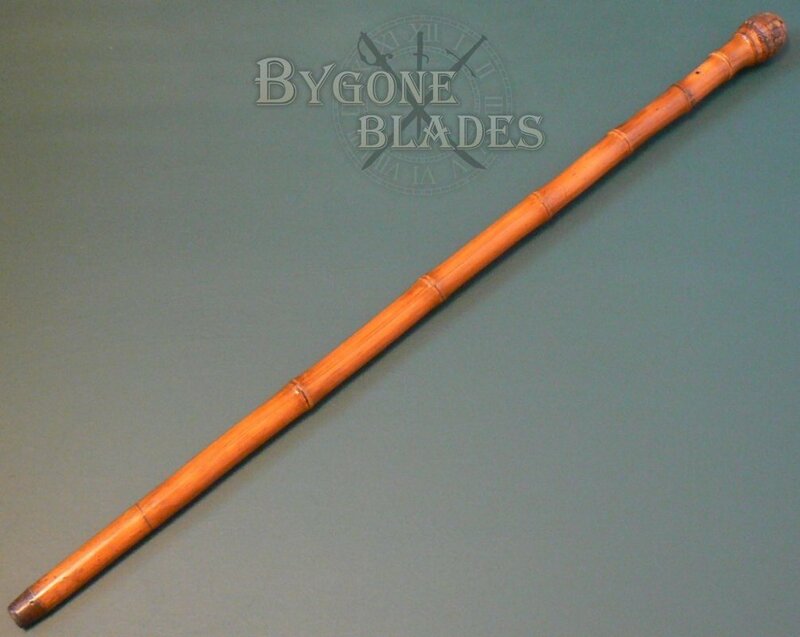 This is a large and robust cane. 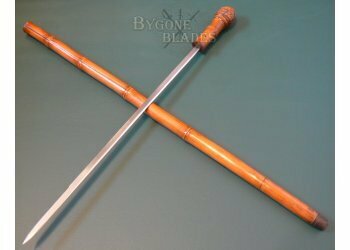 The body of the cane is strong. 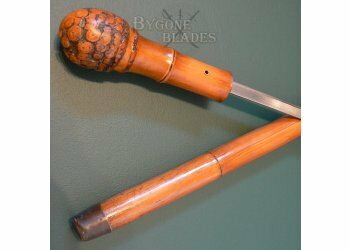 An old split in the cane has been well repaired and filled and does not detract from the aesthetics or integrity of the cane. 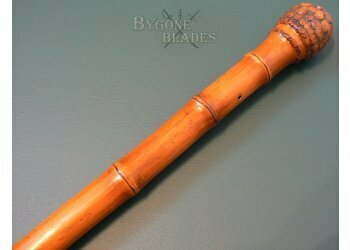 The cane terminates in a bi-metal ferrule made of brass and steel. 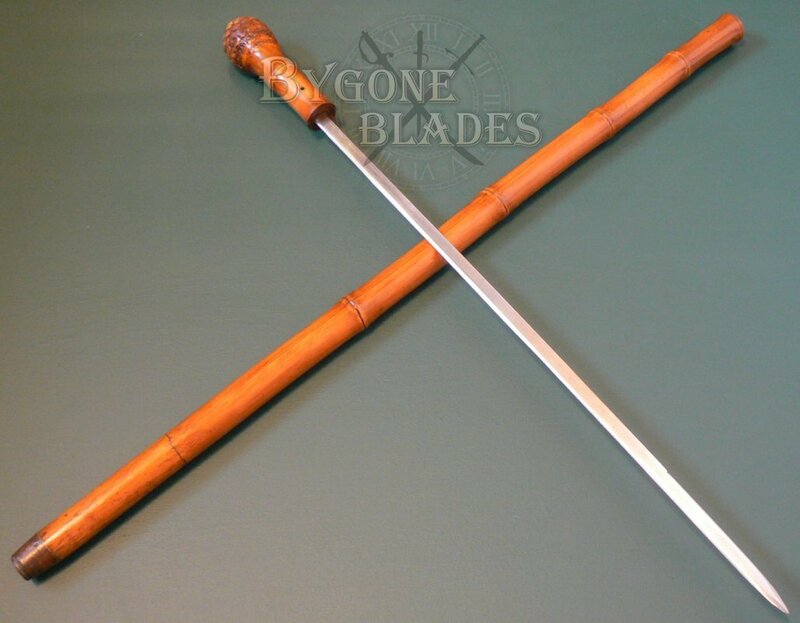 The cane conceals a 530mm single edged blade with a flat spine. 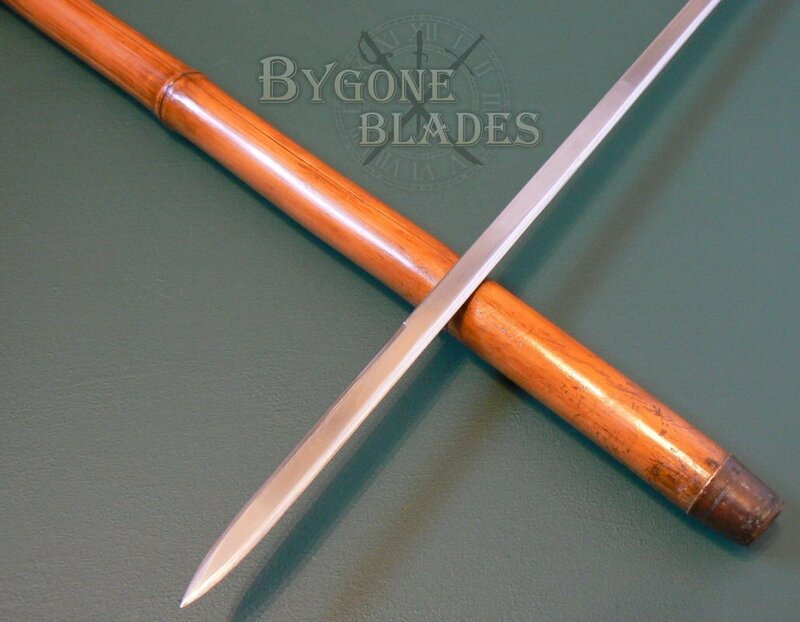 The blade is double-edged for the last 120mm and tapers to a spear point. 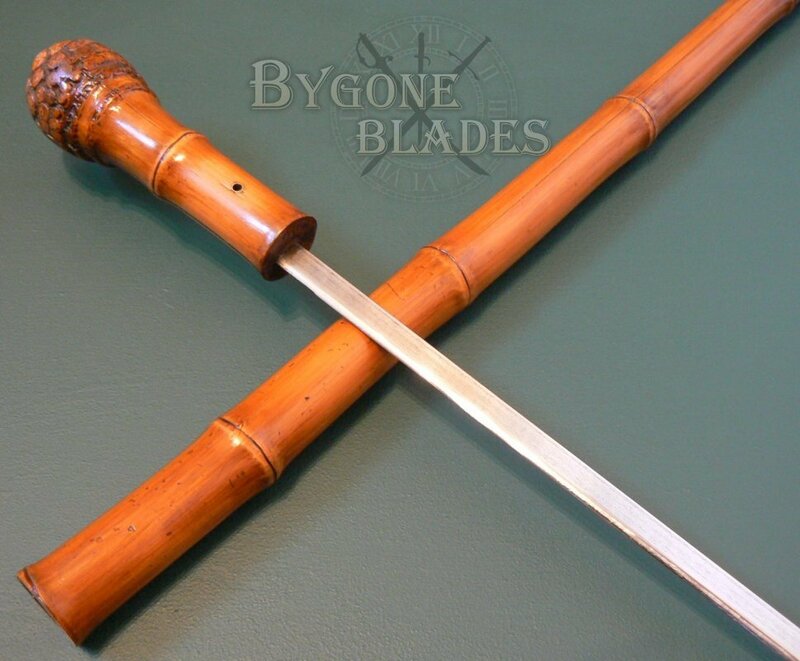 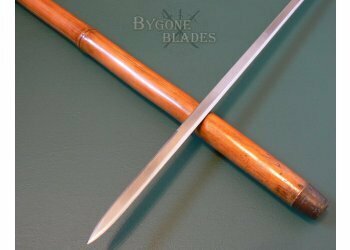 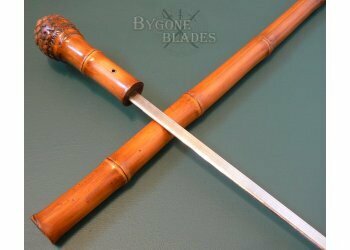 The un-marked blade is in excellent condition and is fixed firmly within the handle of the cane by a brass tube that passes through the tang. 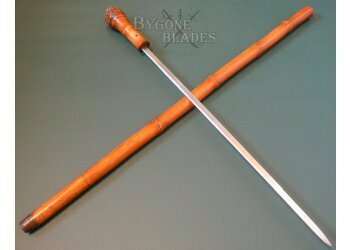 The tube functions to rivet the blade into the handle and originally would have had a leather wrist thong passing through it. 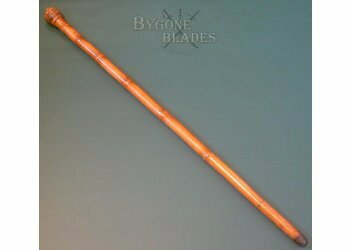 The blade sheathes smoothly inside the cane and is held firmly. 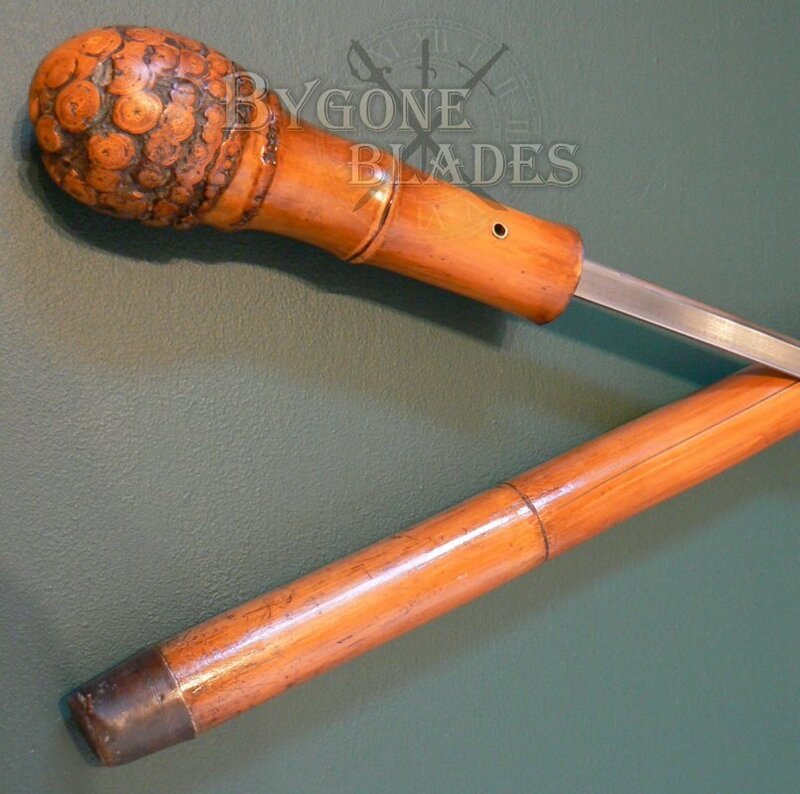 The join between the handle and the body of the cane is practically invisible. 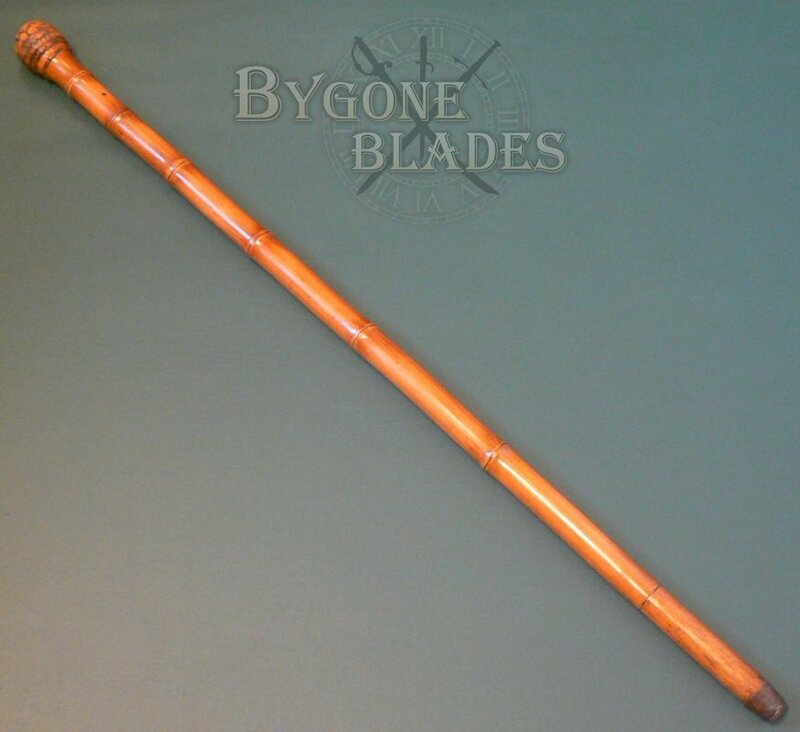 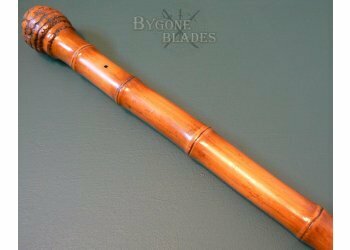 Disclaimer: All sword canes sold by Bygone Blades are sold as historical collectables. 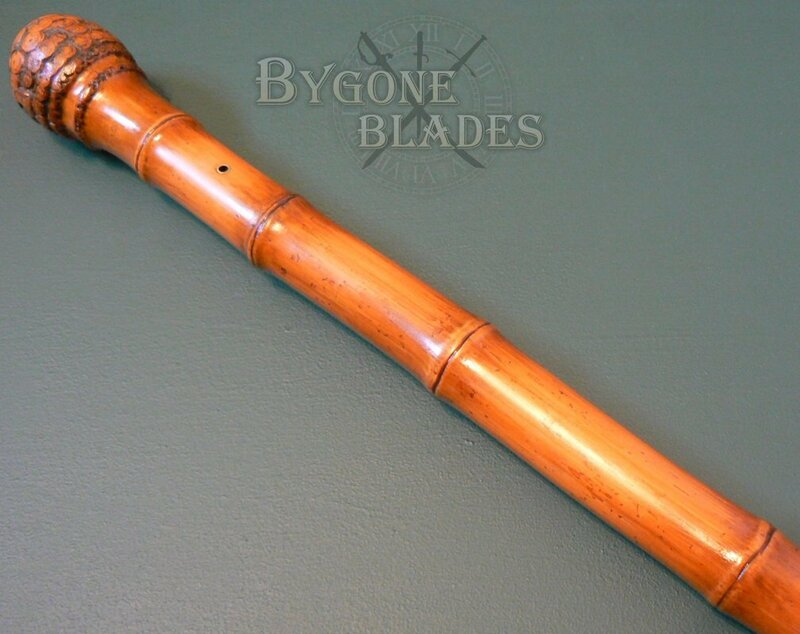 They are sold for decorative collectable purposes only. 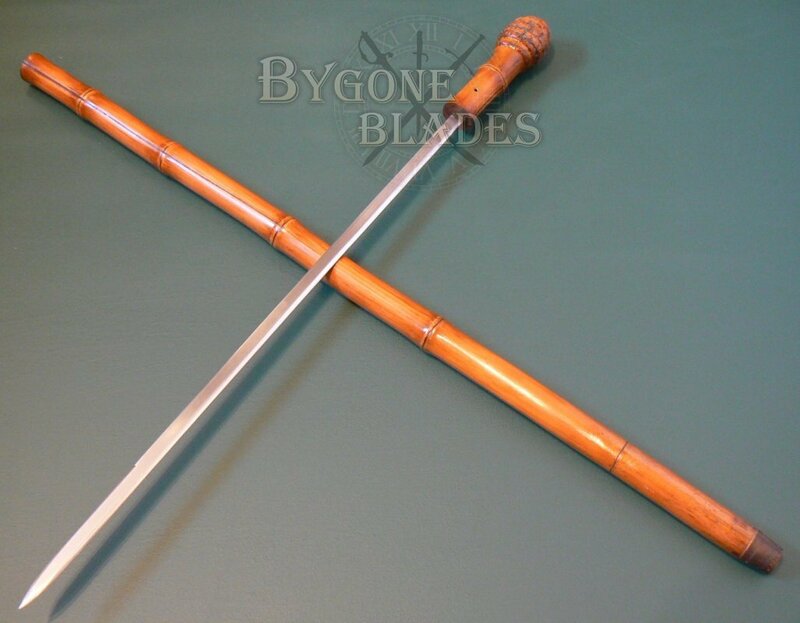 In the United Kingdom and many other countries it is a serious criminal offence to use a sword cane in public.